I finally nabbed one last night! I remember a couple of months back, I asked one of the salespeople at Macy's to call me if they ever received any more shipments in. 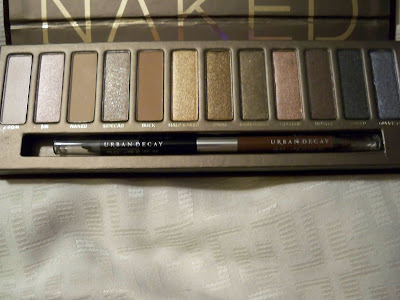 I was hesitant when this palette first debuted; yes, it was beautiful and practical, but how many neutral eyeshadows does one girl really need? I'm not really a collector of makeup, as many beauty bloggers are. I buy things I know will get a lot of use. So I held off and held off until I decided I couldn't pass one up. Once I realized I wanted one, they were no where to be seen. That is, until I got the phone call at work yesterday afternoon. It was the day from Hell at work, and this was such a pleasant surprise! By the time I got to my Macy's after rush hour traffic, their shipment had been completely depleted again. All that remained was the one put on hold for me. Sydney: So, so very true! It's funny that we logically know these things, and yet we still find ourselves emmersed in wanting more. I feel like it goes along with being a lover of makeup, fashion, anything material. I don't think there is anything wrong with it, as long as you can afford it and as long as it doesn't completely consume you. Thank you for your comment! I REALLY want this... it looks so pretty! Yes, I agree with you. I have SO many neutrals, but why do I want this so badly???? I do love the pigmentation of UD shadows and the blendability of them. Other than that, I'm sure I can be satisfied with what I've got. Is it all the tempting blog articles and swatches I see? That's probably part of it. When the Alice Palette came out, I wanted it so bad, then once I got it...I didn't even want to use it. I actually gave it away on my blog!! Go figure!!! Good to hear a beauty blogger who doesn't hoard too much makeup--like myself!! I didn't actually behave this way until I started blogging!! Taj: There is always something on that wishlist! I hope you get your hands on one if you still want it! Nicole: I feel the same way. Once I started watching YouTube and blogging, my little obsessions turned much bigger! I just have to remind myself what is worth the investment and what is just hype. It can be a fine line though! I can't seem to use anything else since I have bought this palette. At the moment I have been using half baked with Buck and love it. I completely understand about wanting what you can't have - or rather (in my case) wanting what I don't need and shouldn't spend my money on. I am not a makeup hoarder either, and I used things until they are gone. I definitely don't need any more eyeshadows but still there is something about that pallette that has me drooling :) Have a FABULOUS weekend!! Jodi: Is it permanent? I hope so because it's making Urban Decay a lot of money and a lot of makeup fanatics are still dying to get their hands on one! If they know what's good for them, they will make it permanent! Jessica: Yes, I completely agree. I have to outweigh the pros and cons before I buy something these days. Have an equally Fabulous weekend! LMAO, I guess you can never have too many neautrals lol. I have so many brown shades and i'm like geeshhh I need to use all of these lol. it's a great palette though and the colors are super pretty! oooh, lucky! I've been on the waitlist to get mine! 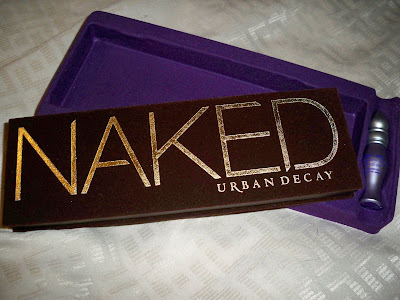 I already have a ton of neutral palettes but I love them so much and have heard so many good things about this one so can't wait to get my hands on one! I really can't be bothered to keep up with the makeup releases. I buy what I like. Sometimes i do get suckered in and then I usually regret the purchase. This does look like a pallet you will get lots of use out of though! Those shoes from Payless are great. Sometimes payless is surprising with what they have. These colors are so pretty. They'd be absolutely perfect for mixing and layering. And I agree -- we always want what we can't have, no? Tiffany: I hope you get one soon! If you love neutrals, you will definitely love this palette. I'm happy that it has two mattes, as well as minimal glitter. I am not a fan of the super glittery shadows from UD. Josie: I guess it's part of human nature? I think so!